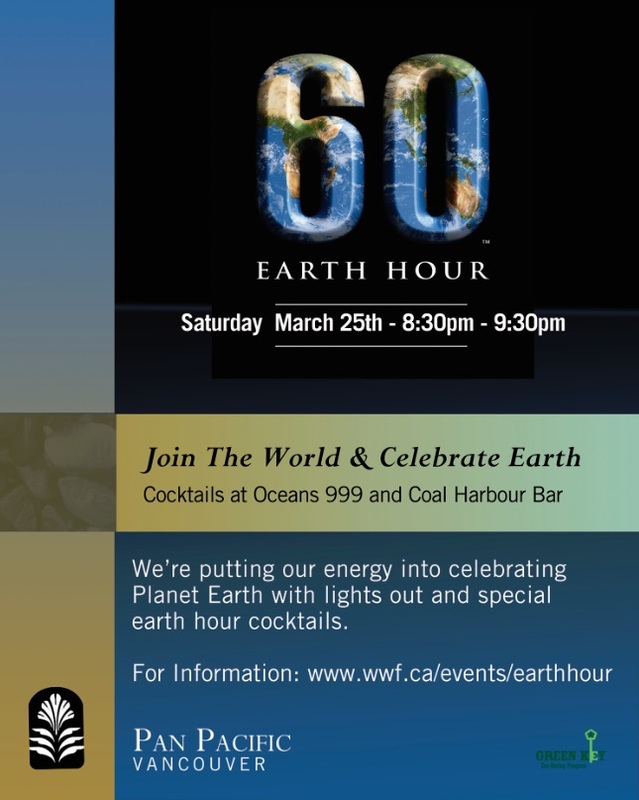 Continuing our annual tradition of participating in Earth Hour, the Hotel will go dark in support of this global initiative on Saturday, March 25 between 830pm-930pm. Started in 2007, Earth Hour is a worldwide annual event organized by the World Wildlife Fund (WWF) and the world’s largest grassroots movement for the environment, encouraging households and businesses to turn off their non-essential lights for one hour to raise awareness about climate change. Last year, 178 countries participated, with more than 12,700 landmarks and close to 40 UNESCO world heritage sites switching off for an hour. Fun fact: even the International Space Station participated! So to do our part, the Pan Pacific Vancouver will shut down all power and lights on March 25 between 830pm-930pm, that are not essential to our guests and associates comfort, safety, security and operations. We also encourage our guests to participate in this meaningful cause by turning off or dimming the lights in their guestrooms between 830pm to 930pm on March 25th! To learn more about Pan Pacific Vancouver’s PanEarth program and our commitment to guest-related environmental initiatives, click here.